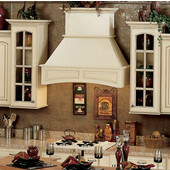 The beauty and versatility of a wood range hood adds an element of texture and brings continuity to your kitchen. 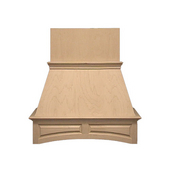 The wood range hoods are available in an array of wood species and arrive unfinished so you can match them to your existing cabinetry. 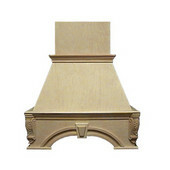 Available in wall mount and ceiling mount configurations, wood range hoods come in several styles and can be dressed up with an arched front, appliqués, beaded panels, raised panels, railings and corbels to liven up your kitchen décor. 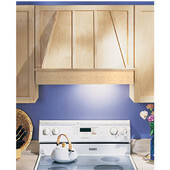 Ventilators are sold separately. 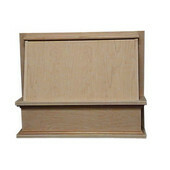 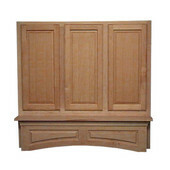 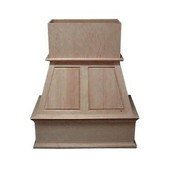 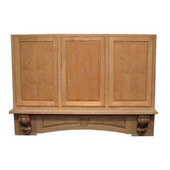 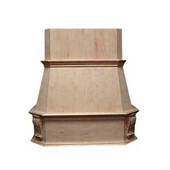 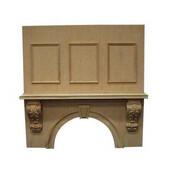 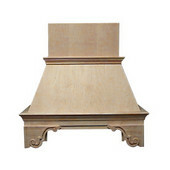 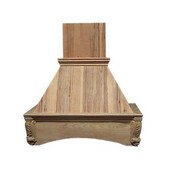 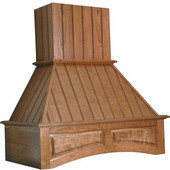 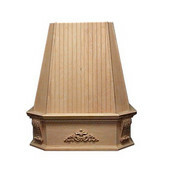 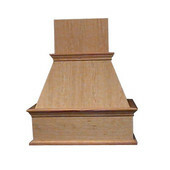 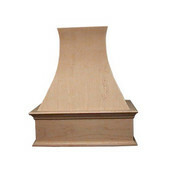 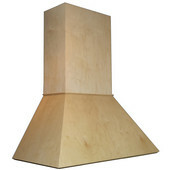 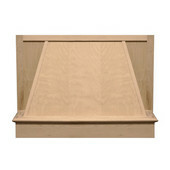 KitchenSource.com offers a selection of fine quality wood hoods from Air-Pro and Omega National Products. 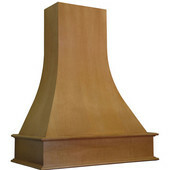 Please speak with one of our customer service representatives to place an order or to receive additional information.